Talk about spot on casting! We've been waiting to see what role Winston Duke will pick up next after his breakout role as M'baku in Black Panther. 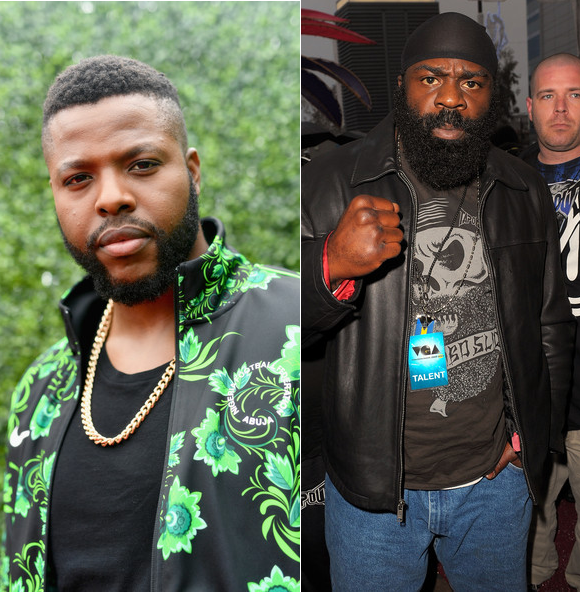 #WakandaBAE is gearing up to transform into MMA fighter Kevin "Kimbo Slice" Ferguson in the upcoming biopic titled Backyard Legend. Perfect casting. The new film about the late fighter is reportedly being produced by Steve Lee Jones’ Bee Holder Productions and Michael J. Weiss’ Webros Entertainment and the screenplay is being written by Andy Weiss. Backyard Legend is about the Bahamian-born backyard brawler who rose from homelessness to mixed martial arts fame after his brutal backyard fights drew a huge YouTube audience. Kimbo Slice died suddenly in June 2016 at 42 from heart failure and a liver mass. Though he battled high blood pressure for years, Kimbo Slice insisted on boxing months before his death, winning a three-round heavyweight match against Dhafir “Dada 5000” Harris at Bellator 149 in Houston. Before dying Kimbo Slice was scheduled to fight James Thompson in the main event Bellator 158 despite his family’s mixed emotions. They knew his health was ailing given his lack of energy in the Dada 5000 fight. Winston Duke will not only star in the film, but he'll also serve as an executive producer alongside Michael Imber, Kimbo’s longtime friend, manager and employer. “I’m looking forward to exploring Kimbo’s story and interrogating the expectations society places on men like him who are their own special breed of hero," Winston told Deadline. We're excited. We know Winston Duke is going to kill it. 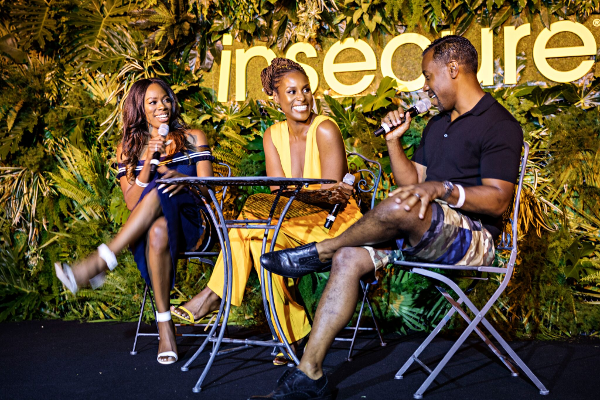 "Insecure" fans! We have a new trailer for the upcoming season! HBO just dropped a new trailer to gives fans a sneak peek at season 3 and based on the clip, it's going to be MANY things. For starters, where the hell is Lawrence?! Jay Ellis' character Lawrence does NOT appear in the new trailer. A few months ago, Jay did an interview with Power 105's Angie Martinez where he shared he hadn't began filming for the new season and they were already months into filming. So what's going to happen to Issa and Lawrence?! We'll have to watch and see. However, we do know Issa ends up shacking up with her fine a$$ ex-lover Daniel whom she cheated with, and things could be heating up (again) between the two. Meanwhile, Issa's friends are dealing with their own relationship issues, inclding a pregnancy. "Insecure" returns for season 3 on Sunday, August 12th at 10:30 pm EST on HBO. The women of Litchfield Penitentiary will have to adjust to life in a maximum-security prison in the latest trailer for Season 6 of "Orange Is the New Black." "This isn't home," Crazy Eyes (played by EMMY winner Uzo Aduba) says as she enters the maximum security prison in the clip. "It is now," responds the correctional officer. Yikes. Looks like it's going to be just as much drama this season as previous seasons, but folks have noticed one main character was not spotted in the trailer: Where the hell is Alex Vause?! Peep the new trailer above. "OITNB" returns for streaming on Netflix July 27th. Y'all ready?